Campagne des Hommes (CdH) is a legally registered, non-profit organisation, founded by a group of young Togolese volunteers in 1994. Full fledged activities started in 1998. 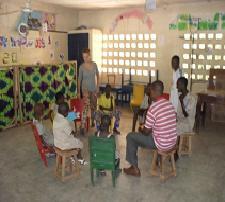 Its head office is in Kpalimé and consists of three full time staff. 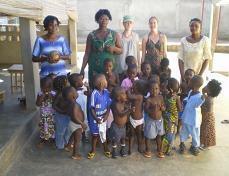 Its activities are mainly carried out in Kpalimé and surroundings, and in the town of Aktapamé. Besides its local development activities, i.e. micro credit and saving bank for people of scarce resources, CdH offers long and short-term voluntary service placements in a crèche for young children, schools for deaf and blind people, education for mentally challenged youth, and an out-of-school project. Togo is a country in West Africa bordered by Ghana to the west, Benin to the east and Burkina Faso to the north. It extends south to the Gulf of Guinea, on which the capital Lomé is located. Togo covers an area of approximately 57,000 square kilometres with a population of approximately 6.7 million. Togo is a tropical, sub-Saharan nation, highly dependent on agriculture, with a climate that provides good growing seasons. 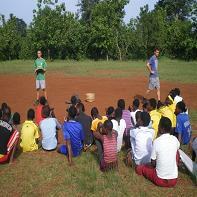 While the official language is French, there are many other local languages, particularly those of the Gbe family. The largest religious group in Togo are those with indigenous beliefs, but there are significant Christian and Muslim minorities. From the 11th to the 16th century, various tribes entered the region from all directions. From the 16th century to the 18th century, the coastal region was a major trading centre for Europeans in search of slaves, earning Togo and the surrounding region the name “The Slave Coast”. In 1884, Germany declared Togoland a protectorate. After World War I, rule over Togo was transferred to France. 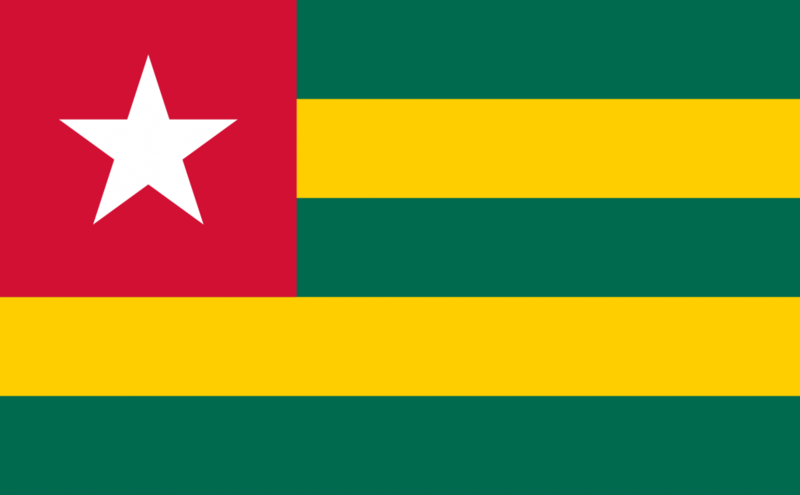 Togo gained its independence from France in 1960. In 1967, Gnassingbé Eyadéma led a successful military coup, after which he became president. At the time of his death in 2005, Eyadéma was the longest-serving leader in modern African history, after having been president for 38 years. In 2005, his son Faure Gnassingbé was elected president. This small, sub-Saharan economy depends heavily on both commercial and subsistence agriculture, which provides employment for 65% of the labour force. Cocoa, coffee, and cotton generate about 40% of export earnings with cotton being the most important cash crop. Togo is the world’s fourth-largest producer of phosphate. Economic growth prospects remain marginal due to declining cotton production and underinvestment in phosphate mining. 4 to 16 weeks. Explore projects here.